Shipping paintings by world-known artists is much more than just our job. It is our passion! Moreover, it is an honor that not all art moving companies can experience. 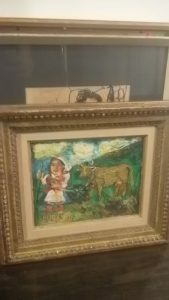 At Fine Art Shippers, we have been shipping fine art since 1995, and over this time, we have packed and shipped lots of one-of-a-kind artworks, including paintings by Pablo Picasso, Marc Chagall, Andy Warhol, and many other renowned artists. 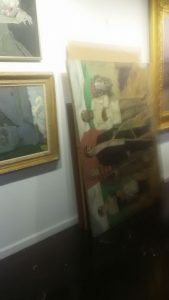 Besides, last month, we were very lucky to handle unique paintings by the prominent Russian artist Oleg Tselkov, which were sold at Shapiro Fine and Decorative Art Auction held in New York on June 2. Shipping paintings like that is an incomparable pleasure and an art by itself! 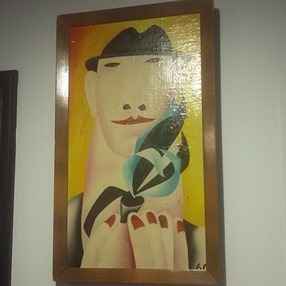 Oleg Nikolayevich Tselkov (born in 1934) is one of the most famous Russian nonconformist artists, whose works are distinguished by the colorful images of faces. 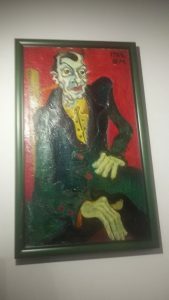 For today, his incredible paintings can be found in the collections of the State Tretyakov Gallery in Moscow, the State Russian Museum in St. Petersburg, the Hermitage Museum in St. Petersburg, the Zimmerli Art Museum in New Brunswick, NJ, and many other public and private collections throughout the globe. 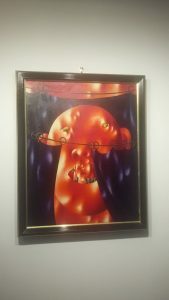 Moreover, works by Oleg Tselkov are now being sold for tens and hundreds of thousands of dollars at the leading auctions worldwide. For example, “Portrait of group with watermelon” went under the hammer for a staggering $248,160 at Christie’s London Russian Art Auction this June. As for Shapiro Fine and Decorative Art Auction, it also featured several beautiful Tselkov’s works, including “Portrait” (1960), which was sold for $50,000, achieving its high estimate. 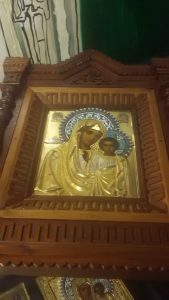 Now that you know how valuable works by Oleg Tselkov are, you understand that shipping paintings like that is an honor for any fine art moving company. At Fine Art Shippers, we are very proud to do this important work for Shapiro Auctions and cannot wait for the next chance to apply our knowledge and skills for the needs of our client. 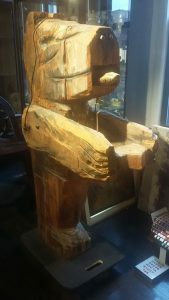 Besides, our team is responsible not only for handling and shipping paintings, sculptures, and other artworks for Shapiro Auctions, but also for setting up all pre-sale exhibitions held by this reputable auction house. 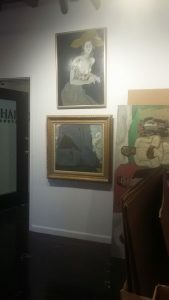 Here are several photos of amazing art pieces Fine Art Shippers had a pleasure to handle last month. 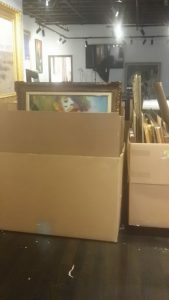 It is also worth noting that whether it comes to handling, packing, or shipping paintings, all our services are very competitively priced. So, whatever your needs, feel free to request a shipping quote or contact Fine Art Shippers directly! We are always ready to help!